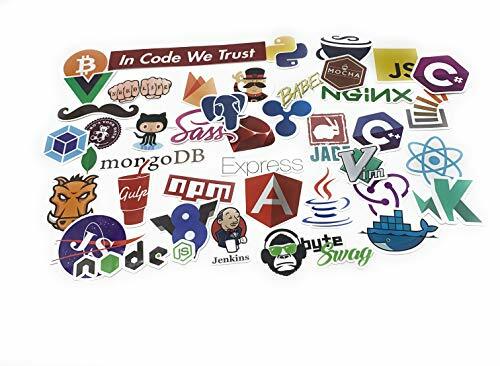 Developer Stickers from ByteSwag - Perfect Gift for Software Developers, Engineers, Hackers, Programmers, Geeks, and Coders. The word “hacker” has been through a dramatic number of paradigm shifts throughout the few decades of the advent of computing. Its definition has been the subject of flame wars. It’s been romanticized, vilified, redeemed, and redefined. Originally “hacker” merely meant “somebody who’s good at working with computers.” That’s really all there is to it, according to such sources as the original Jargon File and the culture around early programming as early as the 1970s. But over time, the term drifted into more shady territory. Part of this was by association with the slang term “hack,” for a writer who worked in low-level positions. Over time, “hacker” came to mean first somebody using clever tricks to circumnavigate bureaucracy and middle management to get work done – a kind of “chaotic good” spirit. Then by the 1980s, suddenly the mainstream media got hold of the word “hacker” and took it to mean a cyber-criminal, somebody who broke into computer systems. For the longest time, “true hackers” rebelled against this meaning, trying to hang onto their proud cultural identity and defining cyber-criminals as “crackers,” by allusion with a safe-cracker. To this day, there’s still confusion about these terms. Movies like 1995’s Hackers were no help at all. BTW, real computer experts prefer the 1992 film Sneakers, both for its better cast and far more realistic portrayal of the high-tech security industry. Modern computer techies differentiate based on context, but for talking about matters of computer security, we say “white hat hacker” for a professional cyber-security expert, and “black hat hacker” for a cyber-thief whose specialty is in circumventing that security, with “gray hat” meaning somebody who wanders the line. Isn’t that silly? Regardless, the hacker is a mythologized archetype in Western culture, right up there with the cowboy, the pirate, and the private eye. We won’t ask what color hat you wear (who’s to say what’s hanging in the closet? ), but the items in this list are likely to be interesting to hackers of any color hat. 【Protect Your Data】With Military Grade Full-disk 256-bit AES XTS Hardware Encryption, you should never care about the security of your important files,hackers can never crack the login PIN.Each USB flash drive has an unique ID, if you forget your password, offer us your ID and order record, we will send you a 10-bit dynamic password. Don't worry your original data will be still kept as well. 【Simple and Nice Design】Solid and heavy with newly upgraded aluminum alloy body,handy flash drive with really good touch,coloured lights and ding guides you well when using.It is really a great gift for your business partners, colleagues and family. 【Easy to use】As no software or drivers required and compatible with Windows,Mac,Linux and embedded systems.It can also plugs with different devices such as Macbook pro, Samsung galaxy S8 S8+, Nexus 6P 5X, Google Pixel with USB-C to USB A OTG Adapter. 【Great partner for your work】If you work in government, Financial and R & D institution,Business or other places that you need to keep your private and important data, it is a really great partner for your job. 【What you get】An Encrypted Flash Drive; a user manual;5-years warranty;24 hours customer,any question feel free to contact us.【Attention】Better charge before first use;There is Li battery in this item,we should charge it every 3 month. The best is every week you use it. 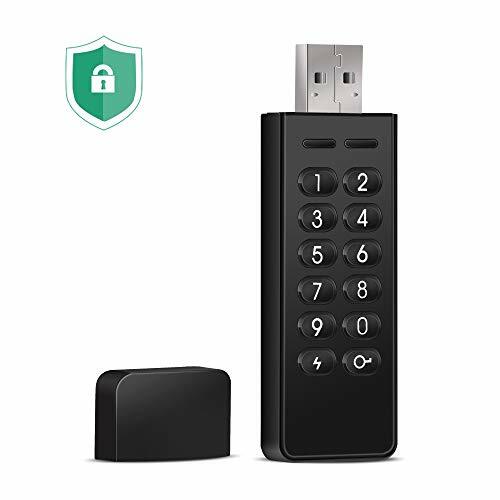 The latest thing in secure data storage, this is a military-grade full-disk encryption drive, connectible with USB 2.0 and USB-C. It has a roomy 32 gigs of storage space, and requires a PIN number to access. Since it needs no software drivers, having all the internals built-in, it’s compatible with MS, Mac, and Linux – and basically anything USB itself is compatible with. Top grade secure storage! DEVELOPER STICKERS - Including 35 stickers of your favorite dev tools and libraries. Angular, React, Redux, Android, SASS, Webpack, Handelbar, Grunt, Redux, NPM, Bitcoin, Karma, V8, Python, Mocha, Babel, NodeJs, MongoDB, C Sharp, Eslint, Ruby, Git, Gulp, Swift, Stackoverflow, Express, Github Octocat, Nginx, Jade, Coffee Script, Yeoman, Java, Docker, Vim, Jenkins, Vue, Postgres. VARIETY OF FASHIONAL BUMPER STICKERS - Additional 50 cute stickers (styles may vary). AII Stickers are 100% NEW PVC and UNIQUE with Sun Protection and Waterproof. Sticker sizes vary from: 2 to 5 inches. AWESOME gift idea for developers, friends, and DIY lovers. 100% MONEY BACK GUARANTEED - No questions asked. If you even read this far, you expected to find Tux here. 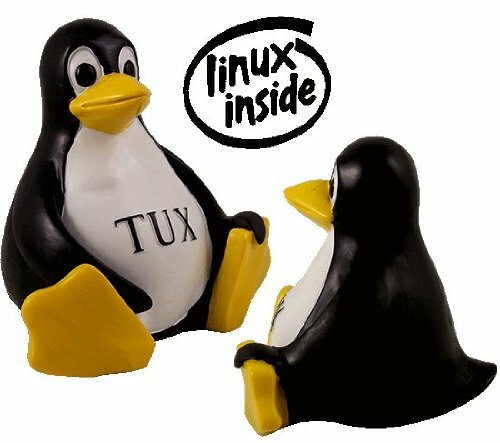 Tux the Linux penguin (and namesake of your humble author “Penguin” Pete – waves hi) is the mascot that unified the Free and Open Source Software world, for the most part. One might want to find a Free Software Foundation GNU doll to snuggle up to Mr. Tux too, of course. No hacker den is complete without a Tux hanging out on the bookshelf! 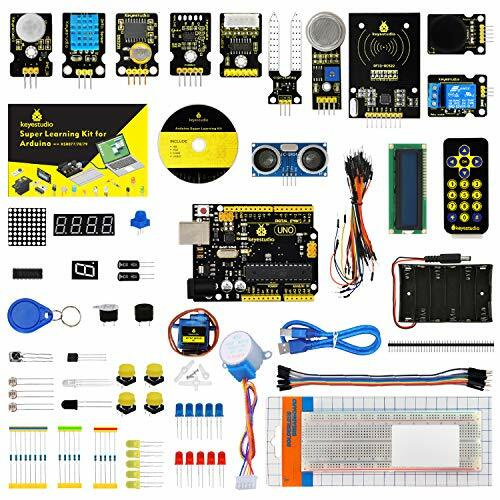 This KEYESTUDIO open source hardware kit is a great way to get started with Arduino, coding and electronics! Even get an Arduino, or other related mini-computer like a Raspberry Pi, and wonder “what accessories do I get for it?” People unhelpfully tell you to go to Radio Shack, but Radio Shack clerks spit venom at you if you walk in there radiating hacker vibes – they’ve been that way since Tandy went under, which is why they’re going out of business (seriously they alienated their only market). You could run around trying to assemble the sensors, LEDs, and resistors out of piecemeal, or you can order this handy-dandy bag of stuff with the breadboard and everything. It’s like a 1980s-era Radio Shack in a bag! Ultra Fast: 7 ports offer high-speed data transfer of up to 5Gbps. Get synced up in no time. Advanced Charging Technology: 3 dedicated charging ports equipped with Anker-exclusive PowerIQ deliver the fastest possible charge of up to 2.1 amps per port. 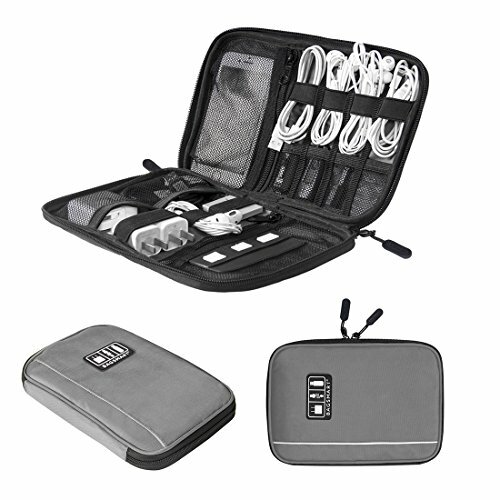 Compact Power: Packed into the size of a pen case for superior workspace conservation. 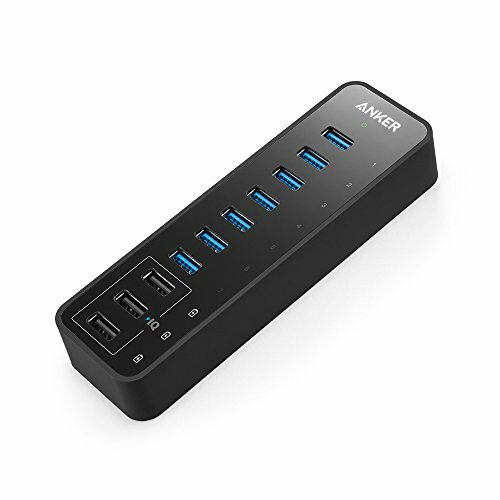 What You Get: Anker 60W 10-Port USB 3.0 Data Hub, 12V / 5A AC power adapter, 2.6ft. USB 3.0 cable, welcome guide, our worry-free 18-month warranty and friendly customer service. One hang-up of our modern gadget era is that you never have enough ports for everything. You need to recharge your vape but your friend has his Kindle plugged in there. Isn’t this ridiculous? This handy data hub has seven data ports and three charging ports combined. It’s a place for all your stuff, an underappreciated utility in a world where you’re surprised your coffee mug doesn’t have a USB frob to plug in. Yet. Speaking of places to put your stuff, this case is a sanity-saver. If you work in repair, support, or general gadgetry and need to lug a lot of cables, connectors, chargers, tools, and parts around, this is the case built just for you. Let’s be honest, where are your charger cables right now? Probably all tangled up in a box somewhere, aren’t they?